Torah, also known as the day of "Rejoicing in the Law,"
will be held on Tuesday, Oct.
year Mr. Grossman and Mr.
ner, Chairman of the Demographic Study Committee. The "Rock n' Roll Rabbi,"
tion auspices, will give reports. man and Dr. Elliot Schwartz. munity in the Palm Beaches, in Israel, and worldwide. Foreign Ministry told the JTA. Chairman of the task force. fectively on behalf of Israel. 9:30 a.m., at Temple Israel. and having served as its head. a member of Technion 2000.
paid over the next year," Mr. Known as YW-YMHA's in many communitlss. obscuring the view from Olympus. of terrorists would remain untrammeled. own offices to do so. Sheryl Stethem Sierralta, sister of U.S.
dozens of other attacks in between. PLO, he said in 1985, is the United States. one Israeli, the other English. Shapiro has therefore sent Mr.
never seen live in Israel. Combining "Our Vote*" and "Federation Reporter"
'not to forget the Holocaust "
outdo all others in this respect. printed in the "Toronto Star,"
warning not to extradite them. until we see them again." in her second letter to Mr.
Lein is 47 and Zelichenok 50.
tin F. Stein has announced. formation, which can be completed in English or Yiddish. Women's Committee-Boynton Beach 12:30 p.m.
Sholom noon Hadassah-Henrietta Szold 1 p.m.
rates were at 12 to 14 percent. doing on their loans, he noted. want to set a "precedent"
ficer David L. Paul announced. are invited to the presentation. special "Mensch of the Year"
lass whan they sad than you did when thoy started? BAI LIN TEA la the aohrHon. to work by world famous microbloioglsts. Don't heettate, order yours while supply lasts. Ministers of China and Israel. on the agenda. Libya was among the nations invited. WE KNOW WHAT YOUR PRIORITIES ARE. package: it's just $40 per person* plus airfare. extension trips to Cairo, Eilat or London. money than you ever thought possible. EL AL at 1-800-262-EL AL (1-800-262-3525). Hem car don not include gas, mileage or insurance. available I2/I2/87-1 /)/88 inclusive Prices/fares subject to change. certain restrictions apply. 'Double occupancy. ed to Palm Beach Gardens. four full time students in 1987.
museum and delve into history. Including roundtrip airfare from Miami. Klux Klan point of view. History" as one of the abuses. used in our Catholics schools,"
now in its 12th year. Holocaust teaching in the U.S.
FROM THE LIST OF INGREDIENTS. THE CORRECTED RECIPE APEARS BELOW. then submit it to Congress. deal with any arms proposal. viding critical support to U.S.
be held on Wednesday, Oct. 21 in the Village Hall at 8 p.m. There will be entertainment by actors of the Florida Rep.
tainment by the Actor's Rep. Theater. Oct. 6 Bayside Cruise 9 a.m.-6 p.m.
Only" for Sunday, Dec. 13. North Haverhill Road, West Palm Beach. Income Safely. (CD'S WON'T DO IT)"
tion Anshei Sholom at 1 p.m.; boutique 12:30.
the Sheridan, Bal Harbour, Miami Beach. "An American Zionist Tapestry." Coffee will be served. and show for one price. On Wednesday, Nov. 11 From 10 a.m. to 2 p.m.
medical news from Hadassah Hospital in Israel. at 9:30 a.m. with the meeting starting at 10 a.m. Program: "Florida Children in Sunshine and Shadows." by Jack Levine and Barry Berg. ple Beth Sholom, 315 No. A Street, Lake Worth. spiritual leader of Temple Beth Sholom. San Diego (all at 56 percent). /eland. New York has 2.4 persons per household. Miami (61 percent) and Los Angeles (57 percent). born, Chicago 66 percent, and Cleveland 58 percent. ay, Oct. 18, at 10:30 a,m. id of America. Prior to Mr.
tastes great, it's tow in cholesterol. by Timely Topics at 2:15 p.m.
Thursday, Nov. 5, at 1:30 p.m.
be a star. Join us and nave fun. Karen Felder After 3 p.m.
'Is Dreyfus free'? Levy said. Hypoluxo Road). Bring swim suit and towel. movie and drinks at the Cinema 'N Drafthouse (10th Ave.
plan new and exciting activities we need your input. Afterwards, we'll go to Fuddruckers for a bite to each. JCC members $3, non-members $5. sonal relationship counseling, will lead the discussion. Donation: JCC members $1, non-members $2. JCC members $1, non-members $1.25. 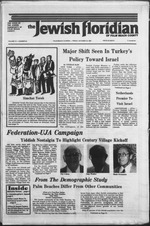 Sunday, November 1,1987 12:30-5:30 p.m.
izens in World War II. is in New York last month. jrd in America, the U.S.
extradite Koziy from the U.S.
out in the spring of 1960. SUNDAY, OCTOBER 18 3:00-5:00 RM. celebrate in a Jewish context. Holocaust "as the most hideous and abominable crime,"
tober 17 at Temple Judea. of Kadima and Young Judaea. to the Lizunovs for two years. "Jewishly let our hair down." ed in substance and meaning. always great joy in this cycle. every effort to encourage it. j ^JM^ Oct. 16-6:32 p.m.
"Lies My Father Told Me"
are the nation's safest drivers. ed to drive military vehicles. Fannie, 83, of West Palm Beach. Gutterman Warheit Sentinel Plan Chapel. 'arap> co*>p*r mail* if^l^ erf aol. wanwim* AdciaH wfen man ** m* im'H ""